With enough practice any hack can create a CAD rendering of a blender or produce an iPhone mockup that’ll earn hundreds of likes on Dribbble, but designing a device that convinces people to make a meal out of maggots? That requires a special level of skill. Designer Katharina Unger is on a mission to make eating insects irresistible. 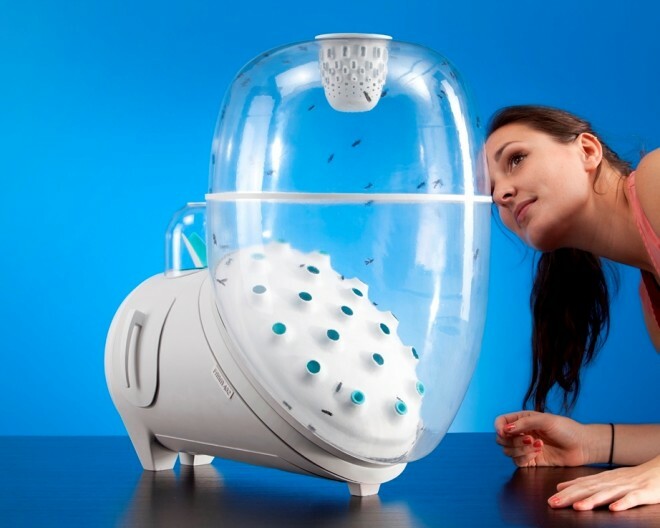 The recent graduate from the University of Applied Arts in Vienna and current Fulbright Scholar devoted her thesis project, called Farm 432: Insect Breeding, to developing an appliance that incubates insects for human consumption. The striking blue and white vessel is stocked with one gram of black soldier fly eggs, and over a period of 18 days, the eggs move through the device’s chambers, gestating, reproducing, and ultimately producing 2.4 kilograms of nutritious, if slightly nauseating, fly larva.